Starfall, the next major expansion for Mad Otter Games’ free-to-play MMO Villagers & Heroes, was announced earlier today. According to a press release from the game’s developer, the new update will be “massive” bringing with it not only new content but a pretty signficant rework of the game’s systems. Billed by the company’s C.E.O. 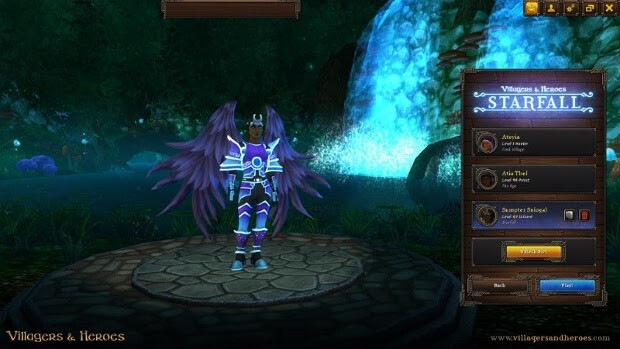 Damon Sly as the game’s “most ambitious expansion to date,” Starfall will raise the level cap to 90 and add seven new zones with new story-driven content. Among those things being reworked are the game’s loot system and class system. The latter will introduce new talent trees and feats. The update will also introduce new UI improvements, a new world map, and more. Full details on the upcoming expansion can be found on its announcement page.